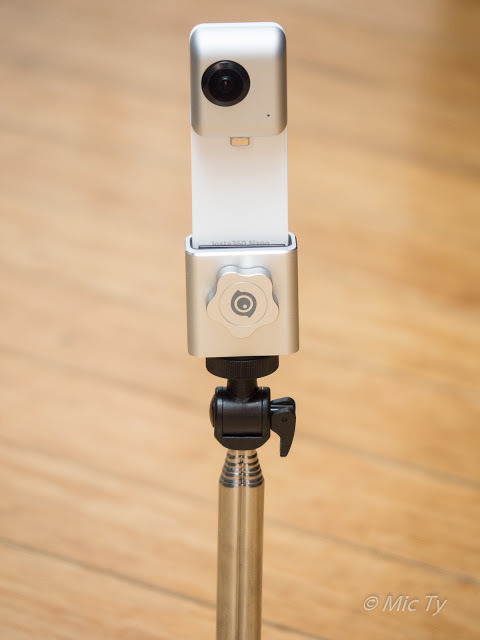 Here is a hands-on preview of the Insta360 Nano Mount tripod adapter for the popular Insta360 Nano. 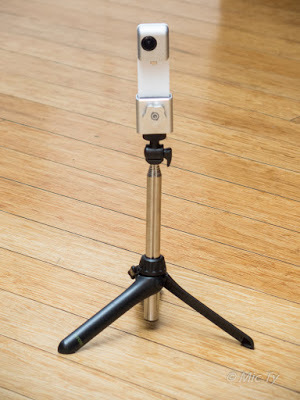 UPDATE; Added video of the Insta360 Nano tripod adapter test! 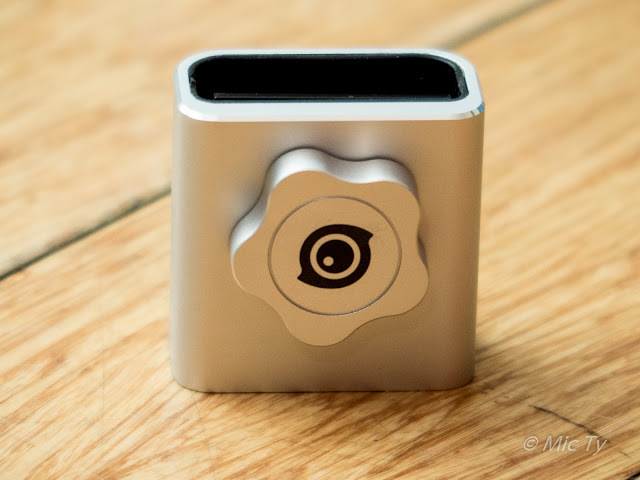 The Insta360 Nano is a 360-degree camera that attaches to an iPhone. I liked the photo and video quality but one of the issues for me was that it was not easy to take photos without pressing the shutter on the iPhone or on the Nano itself. This meant that my thumbs would appear prominently in every shot. 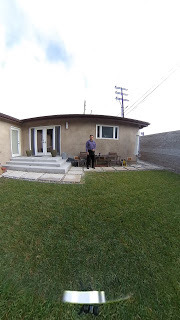 For casual shots this is ok and this was not a hindrance to the popularity of the Ricoh Theta in its early days. However, it decreases what you can do with the camera. 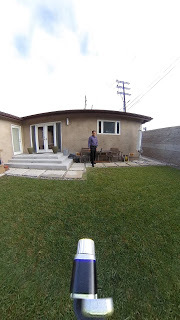 – Insta360 added a self-timer to the app and the firmware, allowing you to move your hands away before the shot is taken, with or without an iPhone. 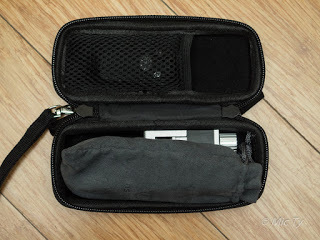 – I found a third-party tripod adapter that can be used for the Nano or the iPhone with the Nano attached. 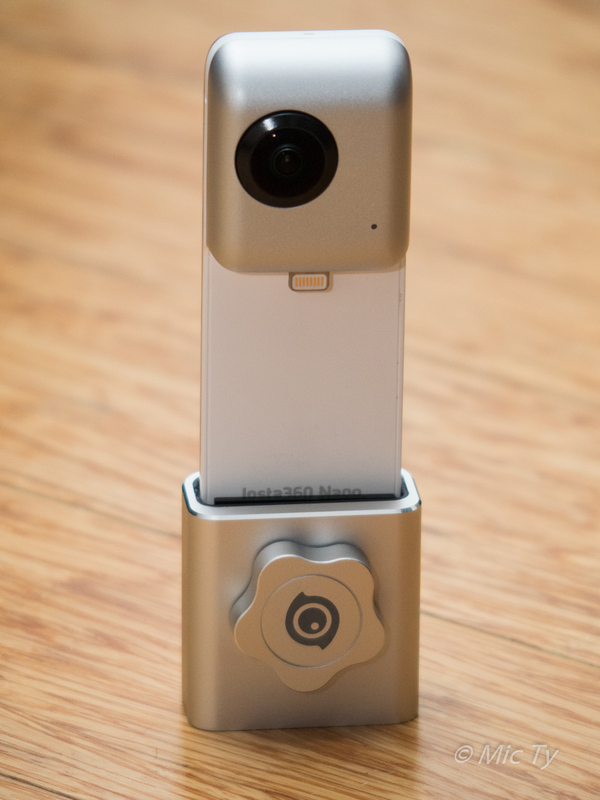 – Insta360 announced a tripod adapter and several accessories to use the Nano in several sports. These and other improvements to the Nano have significantly improved its usability. 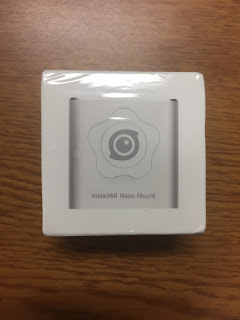 The Insta360 Nano tripod adapter came in a small square box. Inside was the Nano tripod adapter. Finally! I’ve been waiting for this since the Nano came out. The adapter is not heavy per se, but it feels very solid. Whereas the Nano has a plastic exterior, the tripod adapter is all metal, carved out of a solid piece of aluminum. It has a beautiful satin finish that matches the Nano, and has a highly polished beveled edge. The Insta360 logo is laser-etched. The interior has a thin layer of rubber on all sides, for maximum friction that won’t scratch the Nano’s body. The receptacle is curved to fit the Nano precisely (in fact, you cannot insert the Nano facing the opposite direction) but there’s enough room so that inserting the Nano is easy. The petal-shaped knob has the same satin finish as the body and turns smoothly and easily. The knob drives a square metal plate inside with a thin layer of rubber, which presses against the Nano securely when the knob is tightened. 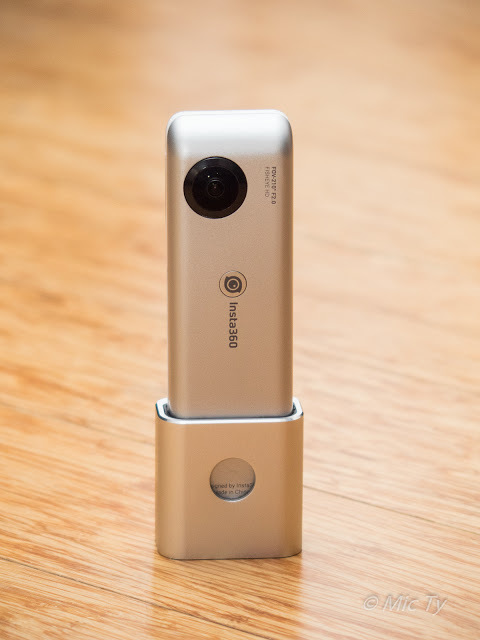 Compared to the XSories adapter, the Insta360 Nano Mount has a wider surface area that presses against the Nano. This means the pressure is distributed more evenly across the surface of the Nano, making it less likely that the Nano might get accidentally crushed by excessive clamping pressure. In addition, the Insta360 adapter’s plate is designed to travel only a limited distance to avoid clamping on the Nano with excessive pressure. The tripod adapter barely adds anything to the slim dimensions of the Nano. However, because the tripod adapter is solid metal, it is about 2/3 the weight of the Nano by itself. Rather than making the Nano hard to handle, the extra weight shifts the center of gravity to the bottom and makes the Nano easier to hold. 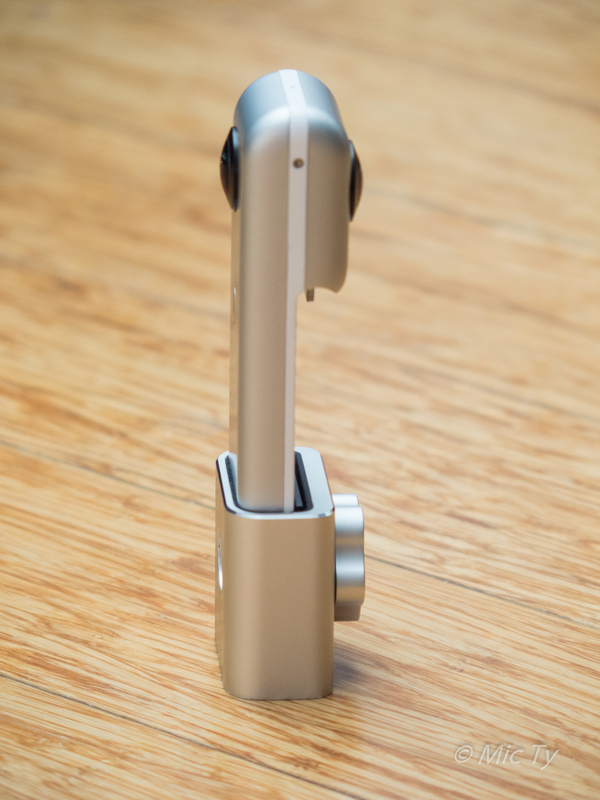 It also allows the tripod adapter to be used as a relatively stable yet compact tabletop stand for the Nano. 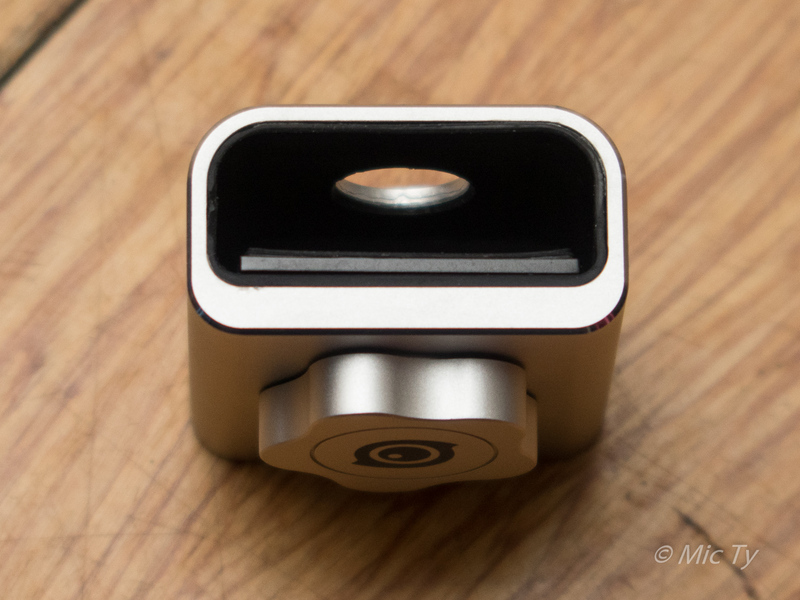 The bottom of the tripod adapter is a smooth metal finish. I think it might have been better if it had a rubber layer like the interior, to increase friction for tripods and other attachments. Most importantly, the Insta360 adapter is far more secure than the XSories adapter. With the XSories adapter, the Nano can fall off if the tripod / selfie stick is shaken vigorously. With the Insta360 adapter, I could not get the Nano to fall out no matter how violently I shook the tripod / selfie stick. Indeed, Insta360 has shown videos of the Nano with tripod adapter attached on a skateboard being kickflipped. + Larger surface area of the clamp reduces the possibility of excessive pressure. + The tripod hole is in the middle of adapter, which makes it easier to balance the Nano on devices such as the Smoovie stabilizer. – Can only be used with the Nano. Can’t be used with the iPhone. 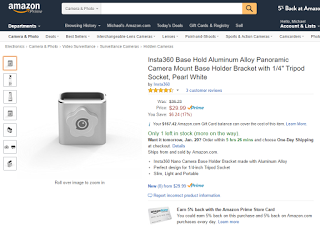 The Insta360 Nano Mount tripod adapter is now available from Amazon for around $30. Can I use the Insta360 base and the app on my iphone for monitoring? In other words, I don't want to put the Insta360 on my phone, but I still want to be able to use the app to control/monitor the camera. Is that possible? Hi there! No that is not possible. The Nano can only connect to the iPhone via the lightning port (it has no internal wireless transmitter). It is theoretically possible to control the Nano with a lightning extension cable, although the cable will be visible in the shot.